Join our FREE 7-day course to learn how to use advertising effectively to grow your ecommerce business. If you want potential customers to see your products when they search in Google, you can no longer ignore Google Shopping Ads. Ecommerce businesses relying on SEO have seen their organic results getting pushed further down the page. 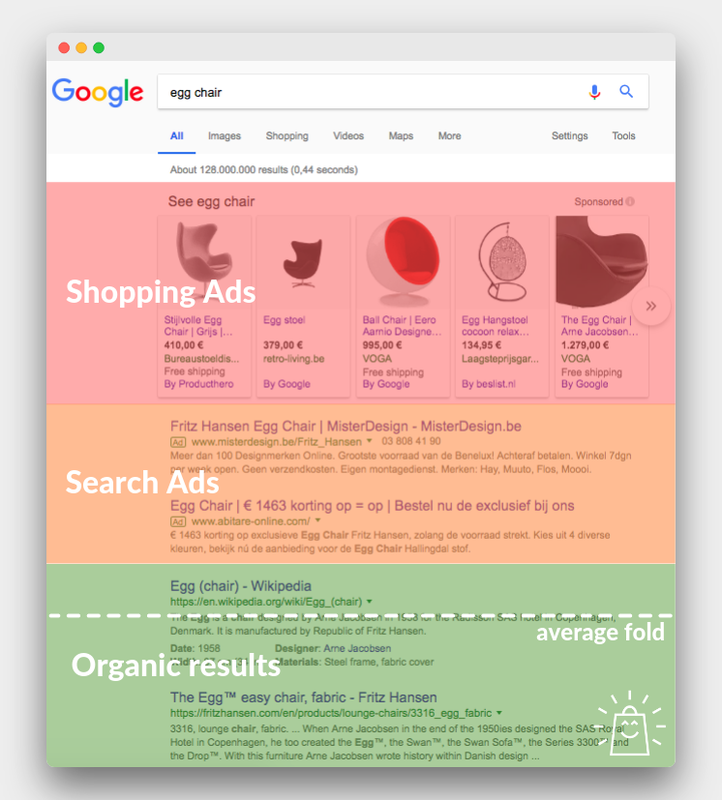 At first, the organic results were replaced by Search Ads. But as you can see from the screenshot above, even Search Ads are getting demoted. Shopping Ads look a lot more appealing. The product photo, title, and price allow a potential customer to get all the important info at a glance. This results in a lot more clicks, which Google loves. But the ads are also good for retailers because it brings people to their site that are in shopping mode. This has resulted in retailers spending more on Shopping Ads and Google giving the ads more and better real estate. Online retailers are actually moving ad budget away from Search Ads to spend it on Shopping Ads! This means competition for those limited Shopping Ad slots has heated up. And that means in order to succeed, you need to get serious about your own campaigns. That goes all the way from setting up your feed to ensure your best products get pushed hardest, up to optimizing your bids depending on the search queries that come. If Google Shopping is a black box to you, it stops today. Click the button below to sign up below for our FREE 6 lesson course to learn the tactics and strategies you need to get results with Google Shopping in 2019.